The scenic view of a golfer on the course will bring back fond memories of your favorite game! 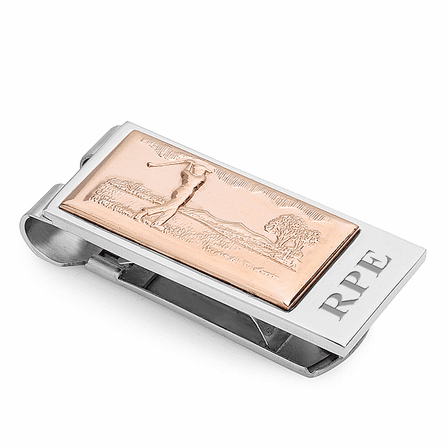 This Swinging Golfer money clip is designed in silver-plated stainless steel, with an inlaid rose gold panel engraved with a golfer out on the links for the day. There's room beside the rose gold inlay for a name or initials to be engraved for free. 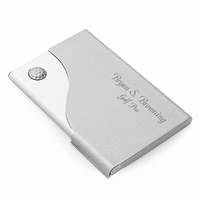 The spring-loaded mechanism in this money clip allows you to secure from 20 to 25 folded bills, and even a credit card or two to pay for drinks at the 19th hole!. 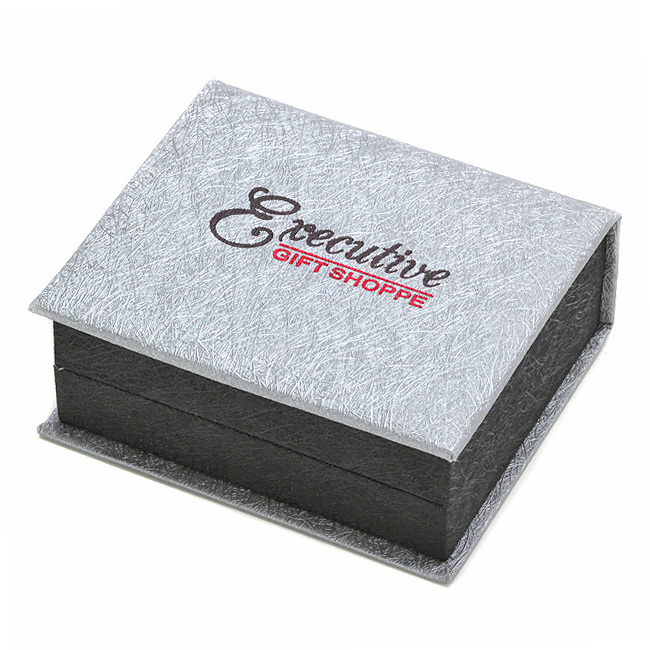 It will hold a maximum of 25 folded bills. Where is the engraving done, on the front or back? The engraving goes on this front of this money clip, on the smooth area to the right of the golfer. Well made and look more expensive than actual price. I am very pleased with the appearance and feel of this money clip. The engraving is sharp and I went with the larger initials so they would show up better. This money clip had a good weight and quality. It was not flimsy. On my PC, the golfer part appear to be on a gold background, but it was a ROSE gold background, but that was OK with my husband. 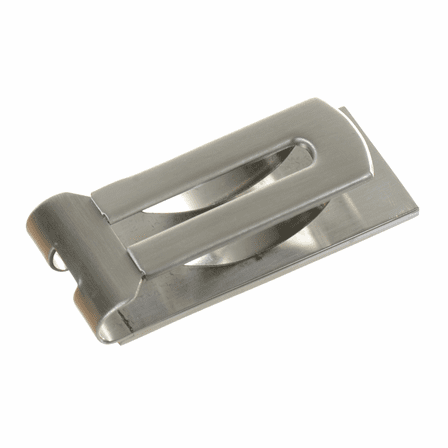 The style and quality of this money clip is exceptional. 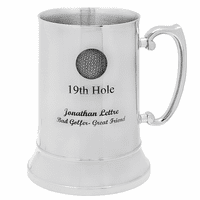 The design of the golfer is not distorted and the engraving is excellent. I am very satisfied with this purchase. Actually this is the second one I have purchased for my husband. 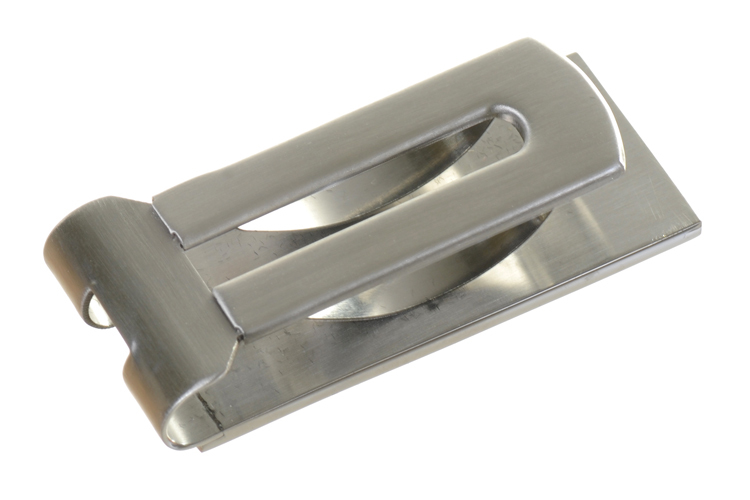 Money clip is great. 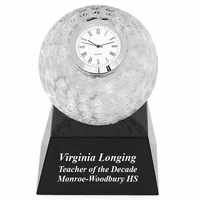 Double spring, free engraving, quick shipping. ProsWorks great and my golfer husband loved it. ConsThe engraving was nice, but would be easier to read if it was darker. Gorgeous! Very Impressive and Elegant! Much better in actuality than the pictures had led me to hope. Plus it was elegantly engraved and shipped within three days, over a weekend. Very impressed wih the quality of the item and the service or the company. Will definitely recommend to anyone who is interested in a quality. prouct. ProsQuality of item, ease of ordering, customer service. Beautiful money clip, so much more than I expected! I ordered this for my hard to shop for brother. He loved it and the engraving was wonderful! verynice especially for the price! came exactly as described. engraving nicely done. Terrific for the hard to buy for man who loves golf. Very nice. My boyfriend liked it a lot. Quality was good and it holds onto his cash very well. However, you cannot barely see the engraving very well. Only thing I had wished the engraving was darker, or in a black color. Maybe you can make the font as large as you can. The clip was well made and very nice. The only caveat to my purchase was that I had it engraved in script and it was very hard to see. The engraving was a bit light in my opinion. Good quality, very pleased and prompt shipping.